A new QFX10002-60C "universal" switch for data center spine, data center edge and data center interconnect (DCI). 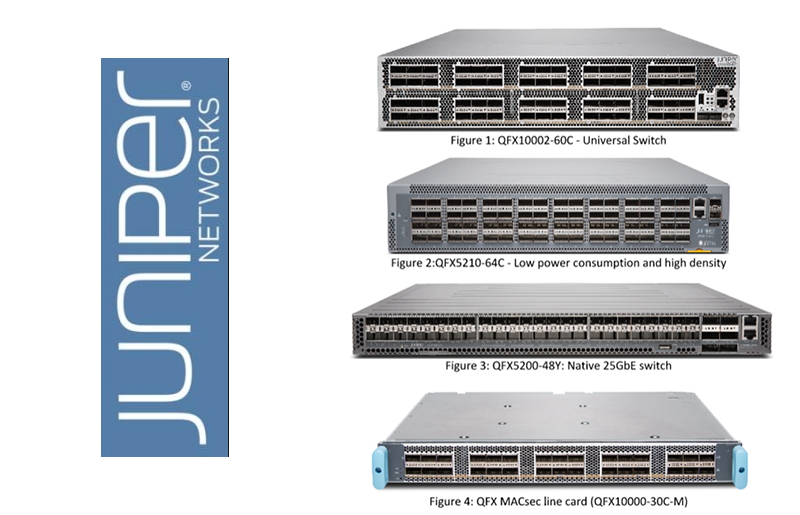 It features 60x100 Gigabit Ethernet (GbE) deep-buffer interfaces. 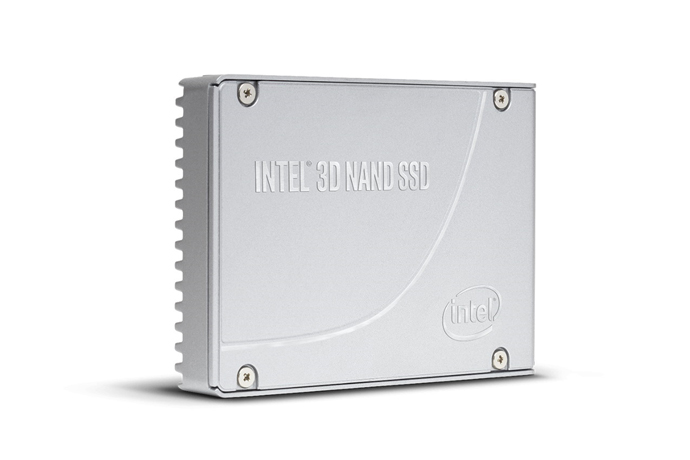 Intel introduced its first SSD designed for data center applications. The Intel P4510 Series drives uses 64-layer TLC Intel 3D NAND. The density enables up to four times more terabytes per server and delivers up to 10 times better random read latency at 99.99 percent quality of service than previous generations. Intel says its drive can also deliver up to double the input-output operations per second (IOPS) per terabyte. The 1 and 2TB capacities have been shipping to cloud service providers (CSPs) in high volume since August 2017, and the 4 and 8TB capacities are now available to CSPs and channel customers. All capacities are in the 2.5-inch 15 mm U.2 form factor and utilize a PCIe* NVMe 3.0 x4 connection. Intel Volume Management Device (VMD), which is included with Intel Xeon Scale processors, enable robust management such as surprise insertion/removal and LED management of PCIe SSDs directly connected to the CPU. Intel Virtual RAID on CPU (VROC) uses Intel VMD to provide RAID to PCIe SSDs. Replacing RAID cards with Intel VROC yields up to twice the IOPs performance and up to a 70 percent cost savings with PCIe SSDs directly attached to the CPU. 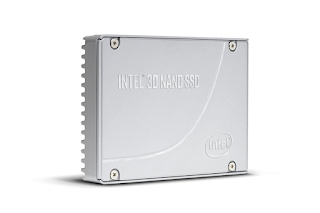 Intel also noted that the Enterprise and Datacenter SSD Form Factor specification was recently ratified by the EDSFF Working Group, which includes Intel, Samsung, Microsoft, Facebook and others. Intel has been shipping a pre-spec version of the Intel SSD DC P4500. In August 2017, Intel introduced its "ruler" form factor for SSD. Instead of the traditional, 2.5" or 3.5" rectangular box for disk drives, Intel's ruler is a long, thin box designed to slide in to a 1" server chassis, plugging in via a PCIe interface at the end of the ruler. It is a slick design. Apart from looking better, the long, thin shape dissipates heat easier. Intel showed a 1” RU server chassis accommodating 32 of these SSD rulers, creating up to 1 petabyte of storage. 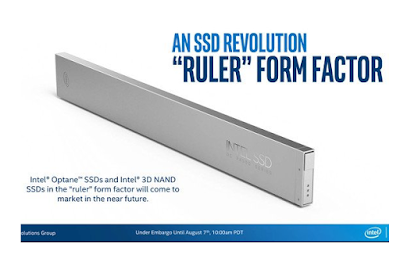 Intel could offer Optane SSDs and/or 3D NAND SSDs in this form factor. Arista reported Q4 2017 revenue of $467.9 million, an increase of 6.9% compared to the third quarter of 2017, and an increase of 42.7% from the fourth quarter of 2016. GAAP gross margin of 65.7%. Non-GAAP net income of $137.3 million, or $1.71 per diluted share, compared to non-GAAP net income of $77.5 million, or $1.04 per diluted share, in the fourth quarter of 2016. Full-year 2017 revenue amounted to $1.6 billion, an increase of 45.8% compared to fiscal year 2016. "2017 represents a market tipping point with Arista’s disruptive software-driven architecture gaining mainstream acceptance as we surpassed 15 million cumulative ports of cloud networking,” stated Jayshree Ullal, Arista President and CEO. Telefónica is going into the business of original content development and distribution for Latin America. The carrier's upcoming Movistar+ Series will launch in more than 13 countries in 2018 with original content as its differentiating element. The new channel will be available to Movistar clients in Chile, Colombia, and Peru on February 15, and will be added to the Movistar offer in Argentina, Costa Rica, Ecuador, El Salvador, Guatemala, Mexico, Nicaragua, Panama, and Uruguay soon thereafter. “As a group, Telefónica is stressing its capabilities as creator of original fiction contents and its broad multi-platform scope. The operation that is being announced today will make it possible for the Movistar series to arrive to more than 13 countries in 2018, making it possible to reach 3.8 million Pay TV customers in Spain and more than 3 million Pay TV homes in HisPam. The more than 110 million Movistar mobile clients in the region must be added to this scope, all of which would also have access to these contents”, stated Sergio Oslé, president of Movistar+. Oracle agreed to acquire Zenedge, which helps enterprises secure their IT systems whether deployed in cloud, on-premise or hybrid hosting environments. Financial terms were not disclosed. Zenedge, which is based in El Segundo, California, offers Web Application Firewall (WAF) and Distributed Denial of Service (DDoS) mitigation products. The company said its products help defend over 800,000 web properties and networks globally. Oracle said the Zenedge acquisition will help expands its Cloud Infrastructure and Domain Name System (DNS) capabilities, adding innovative application and network protection that augments existing Oracle security services and partnerships. CommScope introduced a next-gen, all-digital C-RAN antenna system that centralizes and virtualizes baseband radio assets in preparation for 5G. The CommScope Era platform's Wide-area Integration Node (WIN) resides in the C-RAN hub and routes baseband capacity to a distribution point within the served building or campus. Capacity re-allocation, soft re-sectorization, system setup and diagnostics are all software functions. The platform also transports Gigabit Ethernet backhaul to each remote node, which can be used for separate Wi-Fi networks, IP security systems or to support a small cell overlay needed for future network expansion. The company said its design enables operators to deploy a centralized headend that serves multiple buildings, or even to tap capacity from an existing centralized radio access network (C-RAN) hubs. Baseband capacity is allocated where it is needed while reducing the amount of onsite head-end equipment and the amount of fiber needed for signal transport by up to 90 percent. As of the end of 2017, there were approximately 332.4 million Internet domain name registrations across all top-level domains (TLDs), according to Verisign. 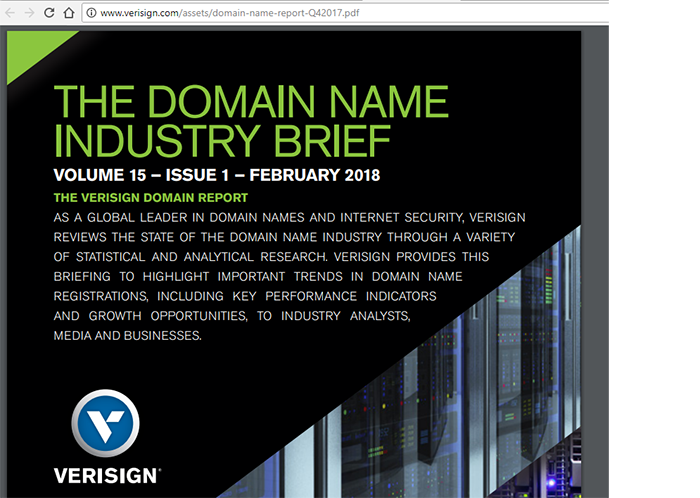 During 2017, there were approximately 1.7 million domain name registrations globally, which equates to a growth rate of 0.5 percent over the third quarter of 2017.
the .net domain name base totaled 14.5 million domain name registrations. A full report is online. Smartphone sales figures from Q4 2017 are now mostly in and the reports confirm what many analysts suspected. The worldwide market for smartphones has stagnated and even begun to decline, perhaps because penetration rates in most countries have reached maximum levels, or perhaps because the replacement cycle is not nearly as fast as was once expected. The smartphone sales trend is significant because it has been a leading predictor of bandwidth growth. Two years, if a mobile operator only had 25% of its subscribers using smartphones and enrolled in a 4G data plan, it was a sure bet that revenue and bandwidth growth would occur. Now, with most millennial customers packing a modern Android or iOS smartphone, it is not so certain that this growth will continue at the same pace. Bandwidth growth will come from usage and not simply millions of new smartphone users joining the network each month. This trend is playing out in the U.S., which reached 4G saturation much earlier, as well as China and India, which have been the big growth stories more recently. Certainly, pricing for the flagship devices from Apple, Samsung, Google and LG has put off many consumers from upgrading their smartphones just on a whim. At the $900 to $1000 or more price range, device manufacturers are testing the limits of consumer budgets and many folks seem to be holding off. Preliminary data from the International Data Corporation (IDC) Worldwide Quarterly Mobile Phone Tracker indicates that indeed a contraction in the smartphone business occurred in 2017. 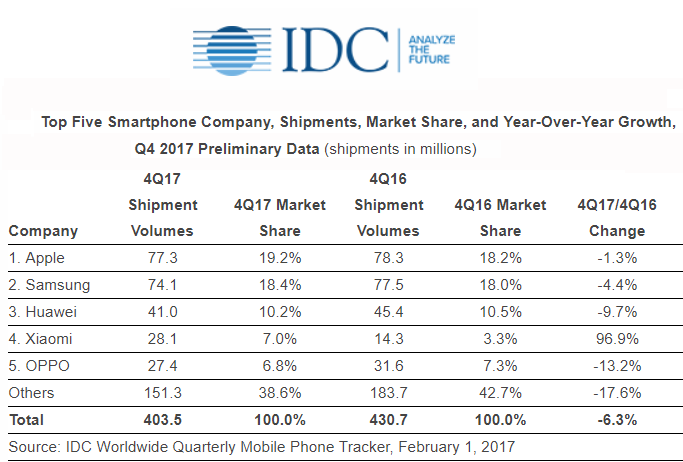 IDC says smartphone vendors shipped a total of 403.5 million units during the fourth quarter of 2017 (4Q17), resulting in a 6.3% decline when compared to the 430.7 million units shipped in the final quarter of 2016. For the full year, the worldwide smartphone market saw a total of 1.472 billion units shipped, declining less than 1% from the 1.473 billion units shipped in 2016. Apple experienced a slight downturn from the previous holiday quarter as iPhone volumes reached 77.3 million units, a year-over-year decline of 1.3%. Although demand for the new higher priced iPhone X may not have been as strong as many expected, the overall iPhone lineup appealed to a wider range of consumers in both emerging and developed markets. Apple finished second for the full year in 2017 shipping 215.8 million units, up 0.2% from the 215.4 million units shipped in 2016. Samsung remained the overall leader in the worldwide smartphone market for 2017 despite losing out to Apple in the fourth quarter. The Korean giant shipped 74.1 million units in 4Q17, down 4.4% compared to the 77.5 million units from last year. Samsung finished the year with 317.3 million shipments, up 1.9% from the 311.4 million shipments in 2016. Huawei continues to hold the number three position despite intensified competition from growing Chinese players such as OPPO and Vivo. Huawei shipped 41.0 million units, down 9.7% from the 45.4 million shipped in the fourth quarter of 2016. The 2017 results look much better for the Chinese giant as the Honor brand helped pushed sales both inside and outside of China. Huawei shipped 153.1 million units, up 9.9% from the 139.3 million unit shipped in 2016. Recent aspirations for breaking into the U.S. market are on hold as both AT&T and Verizon recently cut ties to bring Huawei flagships to the U.S.
Xiaomi managed to double its share to 7% from 3.3% during the holiday quarter last year. This comes as no surprise since the company has continued to focus on growth outside China, with India and Russia being two of its largest markets. The company has been expanding its number of Mi Stores and Mi Service Centers, with fast buildout coming in markets like Indonesia. In India, Xiaomi also launched Redmi Y-series in India and roped in Bollywood celebrity Katrina Kaif to endorse the selfie-centric smartphone series as its first product endorser. The Redmi 5A, which was launched at US$78, saw more than a million devices being sold within a month. OPPO dropped one place to the 5th position as the company shipped 27.4 million smartphones while managing to maintain 12% growth for the full year, amounting to 111.8 million smartphones. Like Xiaomi, OPPO has also managed to move beyond the domestic Chinese market and gain a foothold in other Asian countries like India, Indonesia, and Vietnam. In Indonesia, it launched the new F5 series in 4Q17 and also announced its partnership with AOV, a MOBA game. A second research report, from Strategy Analytics, found that global smartphone shipments tumbled 9 percent annually to reach 400 million units in Q4 2017. Strategy Analytics crowns Apple with a first place finish at 19% global marketshare, nudging Samsung into second position. Xiaomi continued its relentless rise, almost doubling smartphone shipments from a year ago.